Kitchen Design Think Tank: Tearing down the walls! Walls can leave an abrupt and permanent impact upon a living space, the type of restrictive influence that can be expensive to reverse and can deliver an un-compromising legacy for future design! By creating separation between architecture and kitchen new possibilities begin to emerge! The kitchen can be used as an approachable, multi functional buffer, providing spatial definition in an open plan setting that maximises storage and leaves sightlines free from obvious obstruction. To embrace change is to consider new possibilities – so imagine the missed opportunity here if this kitchen had been placed against a wall! 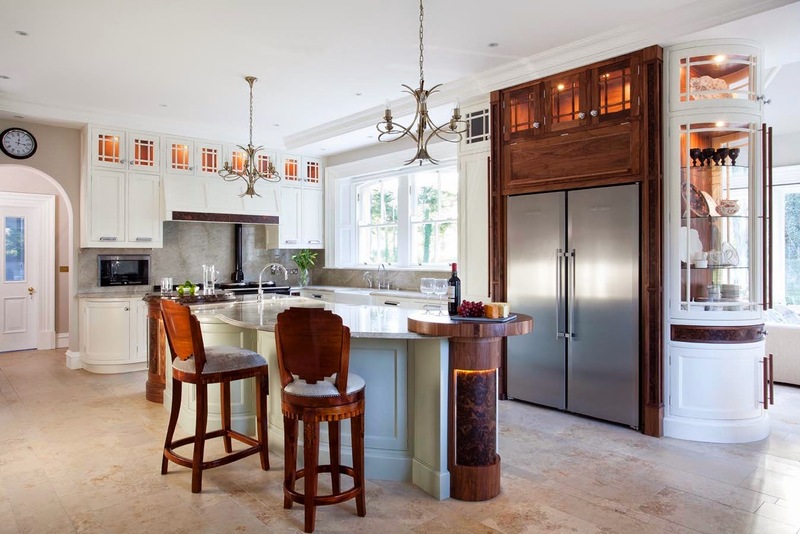 The modern kitchen can now be defined as an island and this design showcases its potential! I do like the open plan style of an apartment or house. When we first moved into our home in Brisbane there was a warren of small rooms that made the place feel cramped and dark, we soon had those walls out and it has transformed the whole look of the place into a modern and airy space. Thanks for sharing very important information on this blog. I am very happy to read such a wonderful blog which gives the helpful information. thanks for sharing.